There's obviously a lot more game in here, but the repetition, and levels that just seem set up to see you fail, make it hard to want to keep re-running through the same sequences enough times to reach them. Others for whom this repetition clicks will have a very different experience, I think, and get a lot further into the game before thinking of other roguelites they'd much prefer to return to. Dungelot: Shattered Lands is a fun combination of Minesweeper and a dungeon crawler that you'll surely keep coming back to. While not without its moments of frustration, overall this game rewards you for skill more than it ruins you with bad luck. What it lacks in story it makes up for in its variety of creatures, items, challenges, and treasures. Each enemy is surprisingly challenging, making fights a lot more calculated than you'd expect out of a title that has its roots in the mobile game industry. Dungelot is an enjoyable roguelike that can provide a challenge to players of almost any skill level without becoming frustrating. The twisted humor tinyBuild is known for combined with addictive easy to pick up, difficult to master gameplay makes this title a worthwhile addition to any roguelike fan's library, especially ones with a penchant for puzzle games such as Minesweeper. This unique and charming take on the rougelike subgenre has a huge amount of potential, but is unfortunately marred by dull gameplay mechanics that are uninteresting and don't work in their current form for what it's trying to be. 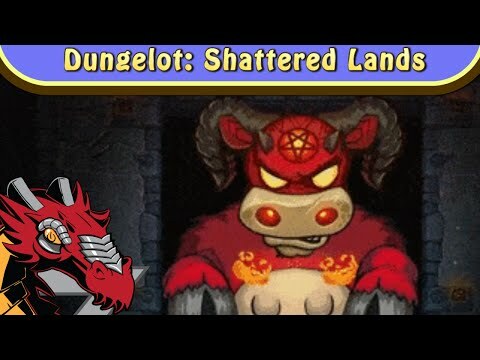 In the end, Dungelot: Shattered Lands is a surprise. It seems simple on the surface, but the numerous game mechanics make for quite a deep game. The difficulty level means you'll spend a good deal of time grinding to get stronger, but conquering the dungeons is satisfying since you'll open up a few other scenarios prior to making another dungeon run. Those looking for a casual but challenging roguelike should try out Dungelot. With 'Dungelot: Shattered Lands,' Red Winter has managed to successfully marry strategic elements with a very simple framework, perfect for gaming in small pieces or long benders. They captured the magic from their first 'Dungelot' while avoiding the freemium pitfalls of the second, and 'Shattered Lands' comes out all the better for it. Some modest polishing issues fail to spoil its charm. 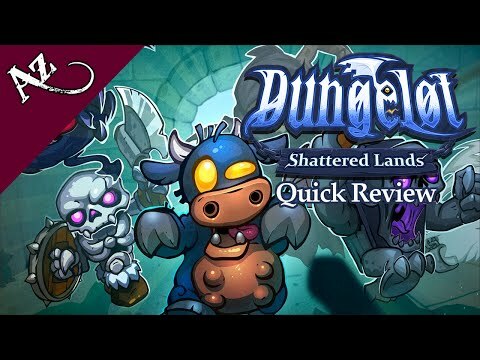 Dungelot: Shattered Lands features an interesting mix of gameplay mechanics and pulls them off, offering a fun experience. The RPG mechanics are surprisingly complex, and you can sink a lot of time into its myriad of dungeons.